Medications are supposed to make you better. However, when certain medications are taken together, serious side effects may occur. When this happens, it's called a drug interaction. The seriousness of the side effects from a drug interaction depends on the medications involved. Some drug interactions can even cause death if they are not caught quickly. SafeMedicationUse.ca received a report of an incident involving an elderly consumer. The consumer had noticed some changes in her mental and physical health. A medication review showed that the consumer was taking 2 medications that may cause side effects when used together: citalopram (an antidepressant) and tramadol (a pain reliever). Her doctor stopped both medications safely, and the consumer recovered her mental abilities. Physically, her health did not recover and after this incident, she was no longer able to take care of herself. If you experience a new symptom or a sudden change in your health, ask your doctor if one or more of the medications you are already taking may be the cause. Use the same pharmacy to fill all of your prescriptions, so that your pharmacist can check for possible drug interactions. Ask your healthcare providers to review your medications on a regular basis. Many provinces in Canada offer medication review programs provided by pharmacists. Ask if you are eligible. Keep an up-to-date list of your medications and natural health products, and show it to your healthcare providers every time you receive care. 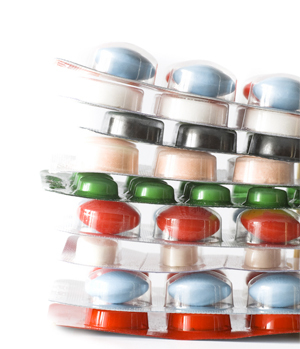 Read some additional tips in Preventing Harm from Drug Interactions. Read the 5 Questions to Ask about Your Medications before each visit to a healthcare provider.